An orthodontist is a dental specialist who has received two to three years of additional training and experience. Dr. Collins attended the University of Colorado and graduated in 1980. In 1986, he completed his orthodontic certification at the Case Western Reserve University School of Dental Medicine. As a specialist in orthodontics, Dr. Collins is able to straighten teeth, correct misaligned jaw structure, and improve the function of your smile. If you want to improve the look and feel of your smile, then any age can be a great age to see the orthodontist. Our Parker, Elizabeth, and Castle Rock, CO orthodontic offices see patients from the age of six to the age of 87! However, the American Association of Orthodontists does recommend that children first visit an orthodontist around the age of seven. Whether you're considering treatment for yourself or for a child, any time is a good time to visit Dr. Collins. What makes orthodontic treatment at Parker Orthodontics special? When you come to Parker Orthodontics, you will receive an outstanding level of care and are guaranteed to end up with a fabulous smile. Our always come first—we do everything in our power to provide everything our patients need. We are very proud of our standing in the community and strive very hard to keep it that way. Several Parker, Elizabeth, and Castle Rock dentists and hygienists not only bring their own children to our practice, but can always tell when Dr. Collins has done a patient’s smile! Dr. Collins and Parker Orthodontics have also won tons of awards from the community, including “Best of the Best” (for the last 18 years), Top Dentist 5280 Magazine, and Family Favorite from Colorado Parent Magazine. With such a stellar reputation, why would you go anywhere else? Braces are used by Dr. Collins to help you improve the look and feel of your smile, and the function of your bite. There are several different types of braces to choose from, including metal braces, clear braces, and clear aligners. 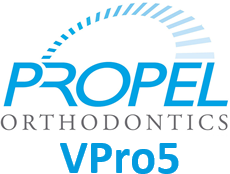 At Parker Orthodontics, we offer low-friction self-ligating braces with In-Ovation® and Damon® Smile, as well as accelerated treatment with PROPEL Orthodontics. Dr. Collins is also an Invisalign® Elite Provider, putting him in the top one-percent of all Invisalign providers in North America. Make sure to use toothpaste that contains fluoride, and ask Dr. Collins or your family dentist if you need a fluoride rinse. This will help prevent cavities! When you take out your Invisalign aligners or retainer to eat, make sure you brush your teeth, floss, and remember to keep it safe in its container so that it does not get lost or broken. Keep your retainer clean, too, by brushing it gently with a toothbrush and toothpaste. You may also soak it in denture cleaner as instructed by Dr. Collins. Do not put your retainer in boiling water or in the dishwasher. Avoid sticky and chewy foods (caramel, gummy bears), hard foods (hard candy, nuts, ice cubes), or any foods that could possibly get stuck in your braces (corn on the cob, soft bagels, ribs, taffy, etc.). Your initial consultation—including X-rays and photos—is complimentary. From your first call, our goal is to make you feel at home and make sure we are aware of your hopes and concerns about treatment. When you enter the office you are warmly greeted and assisted with signing in, offered refreshments, given an office tour and made comfortable by our treatment coordinator. After we take a series of photos and X-rays, Dr. Collins will complete your exam and answer any questions you may have. Our knowledgeable team will step in to go over your treatment schedule and all your financial and insurance options. To schedule your appointment, simply call Parker Orthodontics at our Parker, Elizabeth, or Castle Rock, CO locations! A member of our team will be more than happy to assist you.